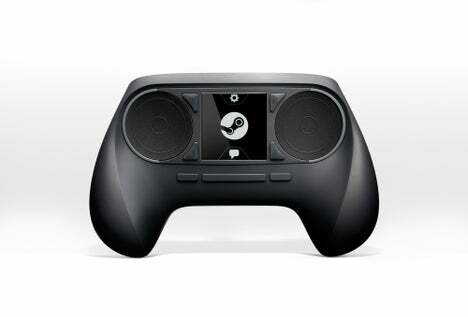 Valve have decided to drop a rather disappointing bomb on their fans today, by delaying the release date for their highly anticipated Steam Controller back as far as 2015 stating that their current testing results in a 2015 release rather than a 2014 one. This will come as a blow to fans, especially after the distaste shown towards the redesign of the controller a few months ago. "We're now using wireless prototype controllers to conduct live playtests, with everyone from industry professionals to die-hard gamers to casual gamers. It's generating a ton of useful feedback, and it means we'll be able to make the controller a lot better," Hope said. "Of course, it's also keeping us pretty busy making all those improvements. Realistically, we're now looking at a release window of 2015, not 2014." While the setback is certainly disappointing, the fact that they are trying to make the controller better for everyone in general is rather remarkable. Valve certainly is a company that cares about their fans, which is one of the main reasons why so many people are so invested in Valve and their products. The live playtests with the wireless controllers are sure to receive some much needed feedback from everyone involved, thus making the end result far better than originally planned. I’m very interested in the wireless prototypes in general, the wireless route was certainly the right one for Valve. Personally, I’m not as affected by this as some people, and it’s only fair to say that I see this as a positive rather than a negative. The additions and improvements to the controller are outweigh the longer wait for the release, though I’m sure some will be unhappy with this. I also feel that a lot is being done with this controller, which reassures me and a lot of customers that Valve actually care about their customers. The redesign a few months back can confirm this, as they obviously took actions to change the controller to better it for the paying customers. We may have lost the touch screen and some other things but it more than likely gained a lot of positives and stability in the product. How does the delay affect you? Will you be purchasing the Steam Controller?